Butterflies and Flowers always go well together. So brighten up your day with this 10-pocket vinyl dauber bag. 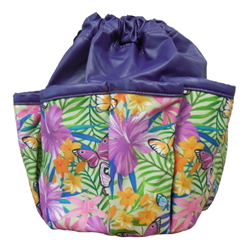 The bag features two drawstrings to open and close the bag, as well as a complementary pouch.